What's better than avocados? Not much! 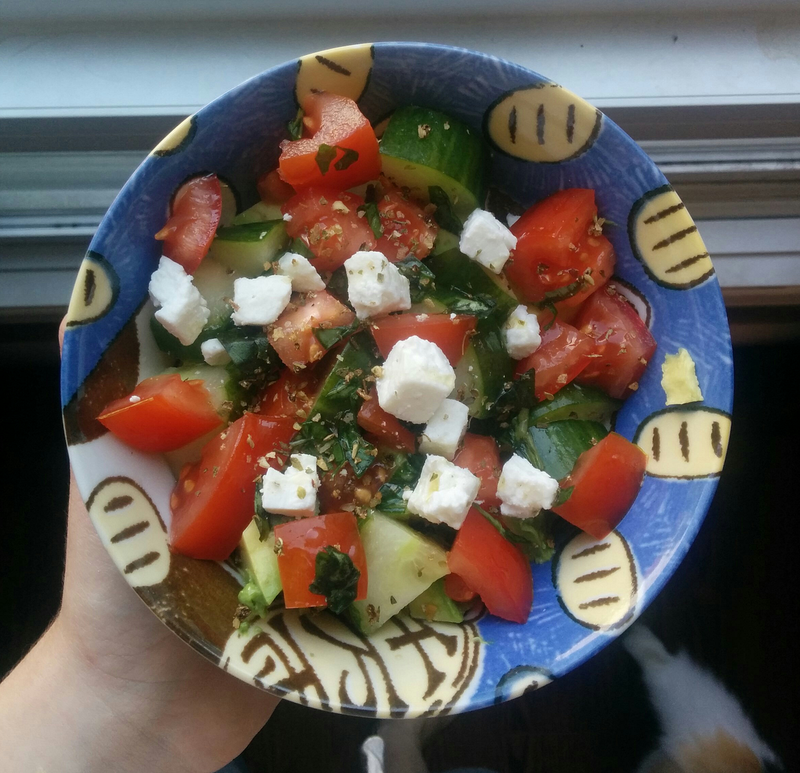 Here's my all time favorite Summer lunch, an avocado greek-style salad. Dice all veggies, drizzle with olive oil, basil and italian seasoning. Eat and enjoy!